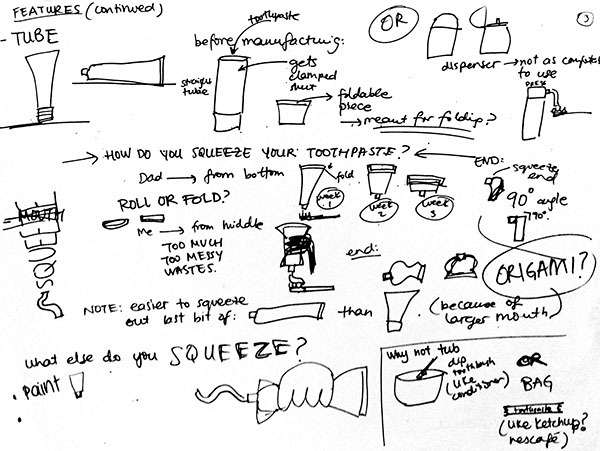 THIS Toothbrush started off as a student project at SVA, and eventually became a reality. Check out the student project below, and the official website here. 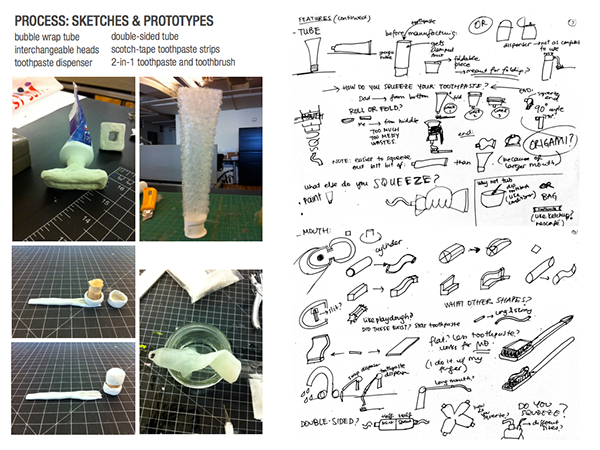 THIS Toothbrush was born out of a student project at SVA, in response to a brief asking us to redesign the first thing we throw out when we leave class. 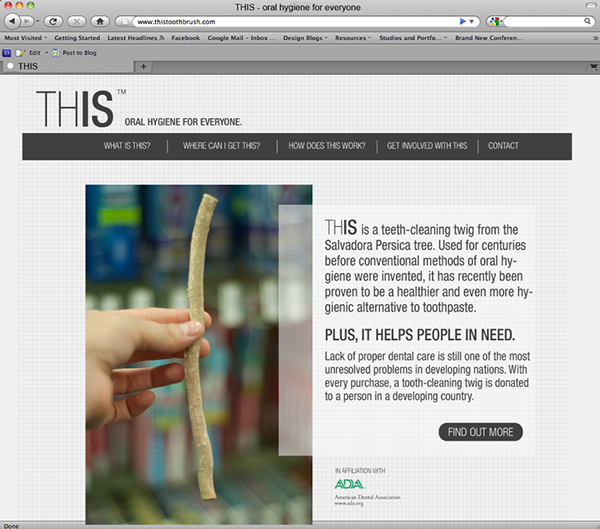 I threw out a tube of toothpaste, and began researching the history of oral hygiene when I came across the Miswak. 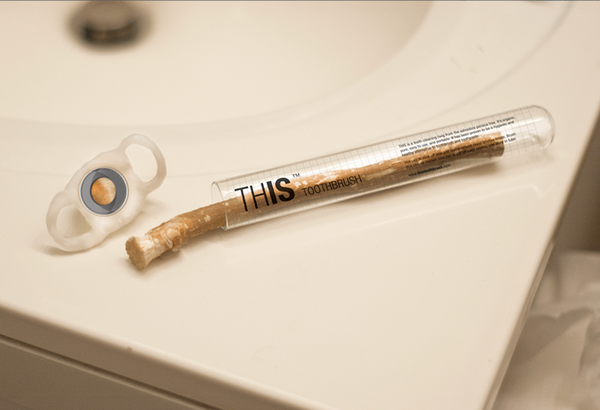 The Miswak is a tooth-cleaning twig used mainly in the Middle East, Pakistan and India. 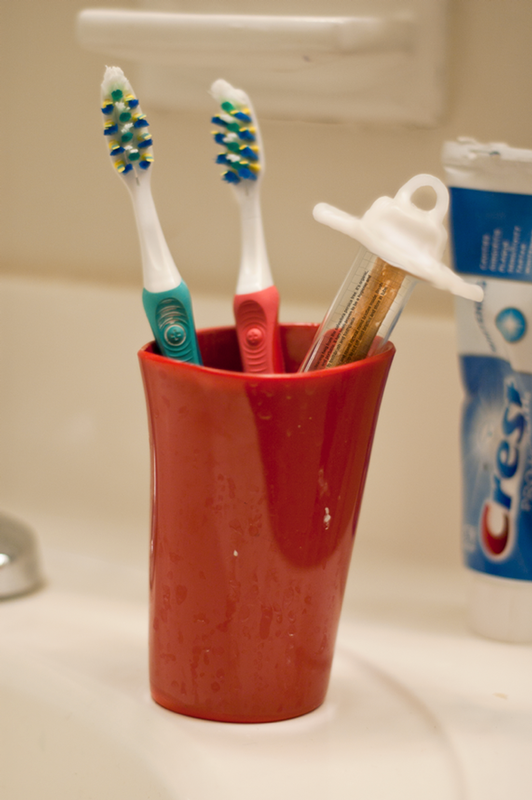 Traditionally, the top is bitten off with every use to reveal soft bristles similar to that of a toothbrush. Read more about it here. 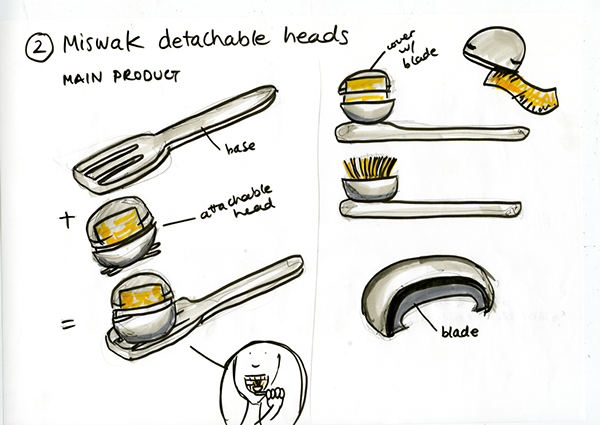 THIS aims to repackage and promote the miswak as an organic, biodegradable, portable, more beneficial substitute for toothpaste and a toothbrush. 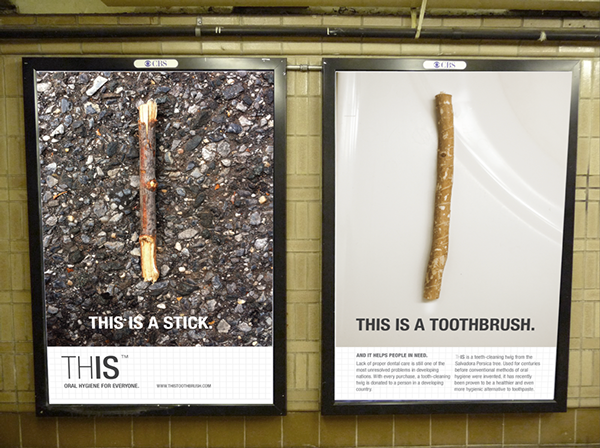 The biggest challenge was figuring out how to package and market the twig to a contemporary American audience, who would not be entertained with the idea of biting off the top of the stick in order to use it. 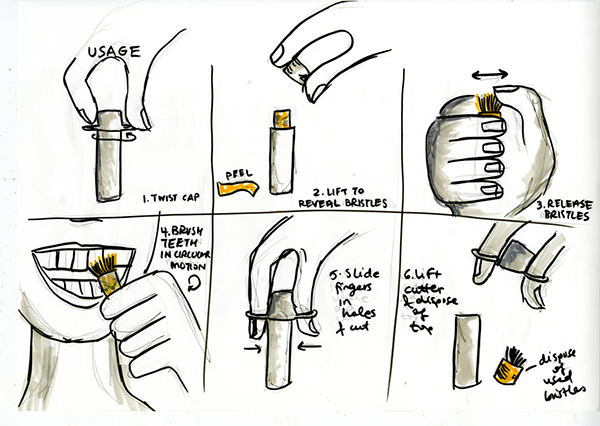 The solution for this is a cigar-cutter-like cap that peels off the outer layer to reveal the natural bristles, and slices them off after use. 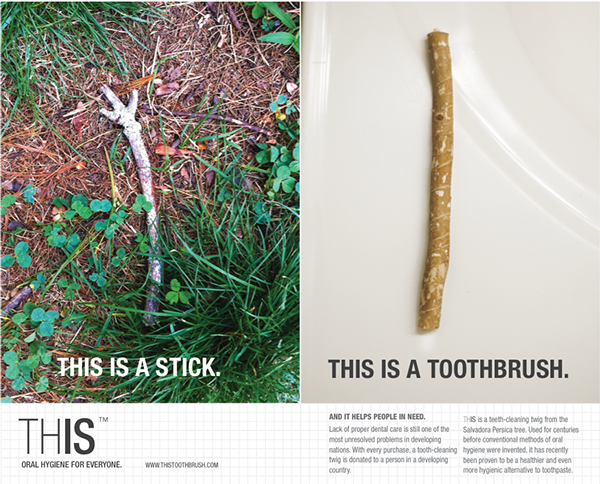 It also protects the stick from germs and microbes. Along with packaging, a campaign was designed to promote THIS. 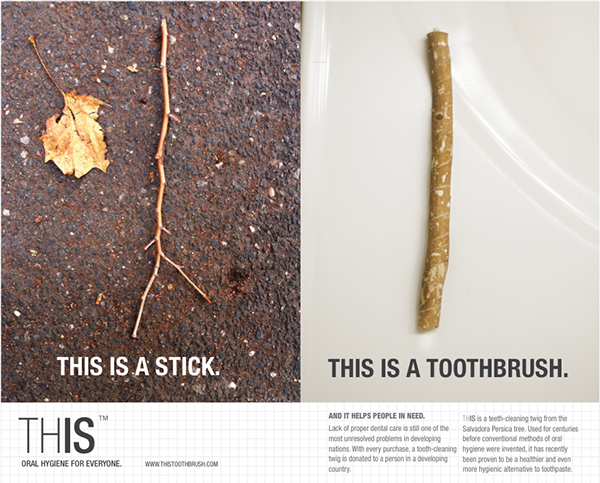 Using photographs of various sticks and a contrasting photograph of THIS toothbrush in a clean bathroom, a series of posters and print ads was designed to show the simplicity of the product. 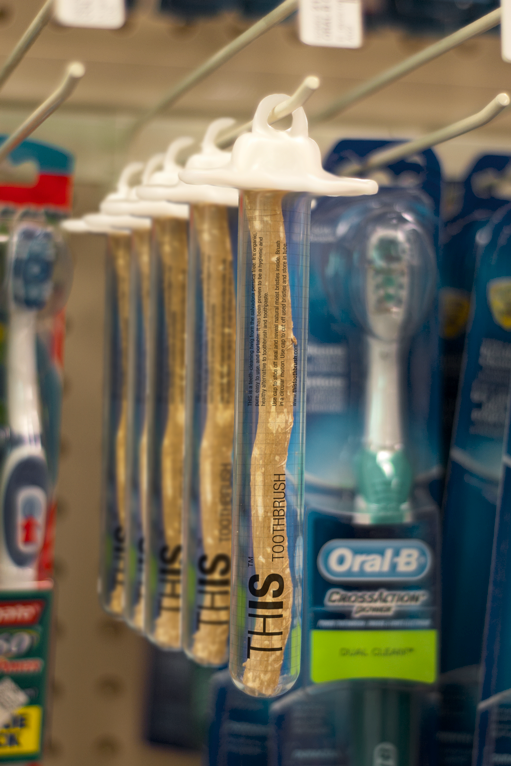 In addition, an online campaign was launched which offered to donate a tooth-stick to a person in a developing country with every THIS purchase. 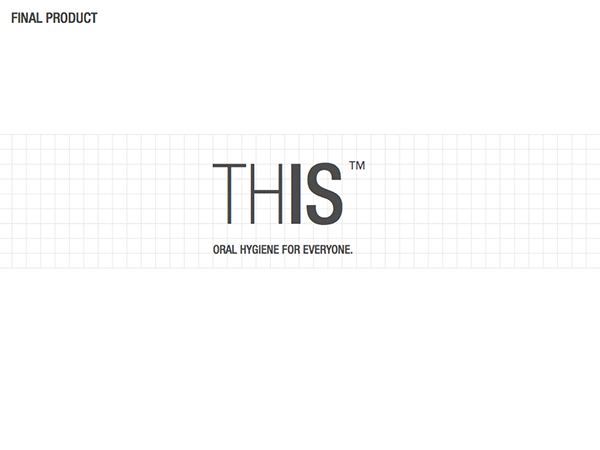 THIS toothbrush challenges the concept of toothpaste and presents a modern alternative based on an old tradition.